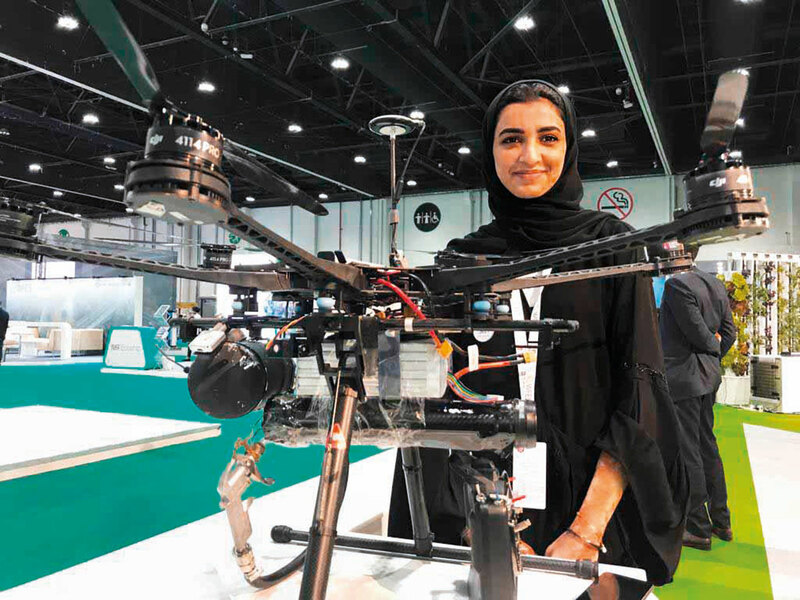 Abu Dhabi: An Emirati student, who has invented a drone for firefighting, claims it cannot only save lives but also aid Civil Defence personnel by greatly reducing their risk factor. Shouq’s drone is among 48 inventions being displayed at Abu Dhabi Sustainability Week (ADSW) as part of the second edition of the Climate Innovation Exchange (CLIX), a global initiative of the Ministry of Climate Change and Environment aimed at enabling youth to innovate and contribute to sustainability solutions. Shouq said when a fire occurs, the drone releases fire-extinguisher balls through a laser gun to douse the flames. Although the prototype has only one laser gun, she said it could be designed to carry more guns, so it can be used to douse major fires. The drone is operated by a solar-powered battery and can fly up to 24 hours on full charge. It is made of carbon fibre and is fire-resistant. “The device can do its job and come back safely,” said Shouq who has just completed her Grade 12 and is waiting to join university. The drone can reach inaccessible places quickly. Civil Defence personnel do not need to risk their lives ... This is my way of giving back to my nation which has given me a lot. 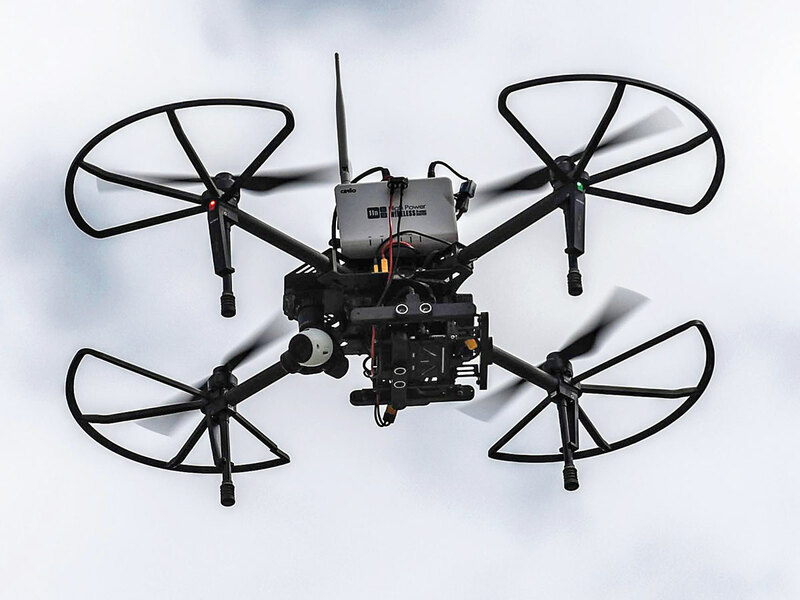 “The biggest advantage of the drone is that can reach inaccessible places quickly. Civil Defence personnel do not need to risk their lives while fighting dangerous fires,” she said. She got the opportunity to display the device at CLIX as it won second prize in the annual Think Science Competition organised by Emirates Foundation last April. Shouq said she hopes to get a sponsor or company that will use her idea for commercial production. The drone can be controlled by remote control or programmed to work automatically to reach the target building when a fire erupts. A laser gun installed within shoots fire extinguisher balls that can douse the fire. The drone can fly up to 24 hours at a stretch. • Register with the General Civil Aviation Authority in order to fly a drone legally in the UAE. • Don’t fly them within five kilometres from any airports, helipads, landing areas or manned aircraft. Do not fly near any buildings, houses, private properties without permission.